Assembly required. Fuel sold separately. Angled columns with flared corbels and recessed side panels highlight the grand profile of the Valmont Mantel. Capable of safely supporting a television of 100 pounds or less while adjustable shelving accommodates most electronics and other objects. 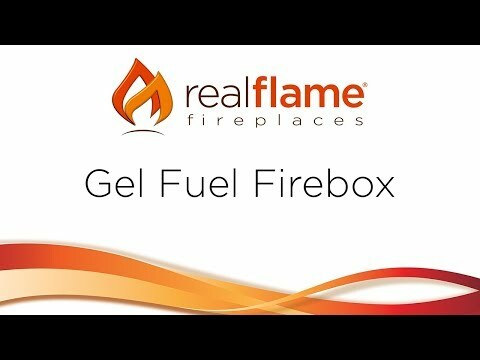 Uses clean burning 13 ounce cans of Real Flame Gel Fuel emitting up to 9,000 BTUs of heat per hour. Lasts up to 3 hours!